Think you need to go all the way out to the Smokies to get beautiful nature shots? Think again. 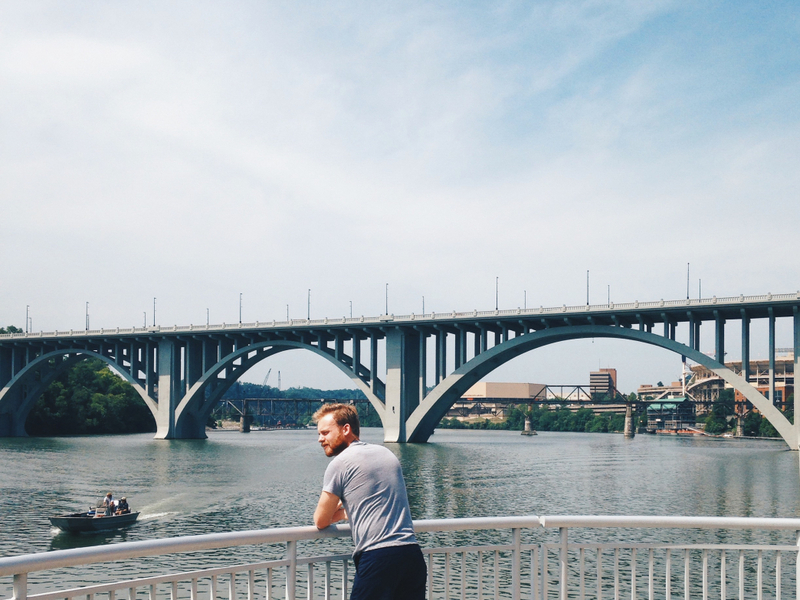 For this city tour, we hooked up with Liz Burling of Instameet Knoxville, a growing collective of urban photography enthusiasts that gather for monthly adventures around the city. So if you're looking to become insta-famous or just hoping to save these spots to your mental hard drive, stick with us as we explore five of the most picturesque places in Knoxville. Located on 47-acres of the former Howell Nurseries just five minutes from Holston River Park , The Knoxville Botanical Garden and Arboretum has a lot going on and even more attractions coming soon, including a butterfly meadow and outdoor classroom. On the northwest side of Wimpole Avenue, wedding parties, professional photographers, and tour groups traipse amongst the transportive stone terraces and gatehouses near the KGBA Visitor's Center, escaping to a whimsical land pulled from the mind of stonemason Joe Howell. This is easily the most picturesque part of the gardens, with wide meandering lawns stretching between impressive stonework and booming flowerbeds. Heading south across Wimpole Avenue and then west past the Cedars of Lebanon will take visitors to the Center for Urban Agriculture, newly established at the former site of the C.B. Howell Nursery. Here, fresh vegetable gardens spread across the ruins of the old nursery terraces, providing beautiful photographic contrasts and a reminder that from the old and dying, new life often comes. South across the Tennessee River is another example of old things made new. 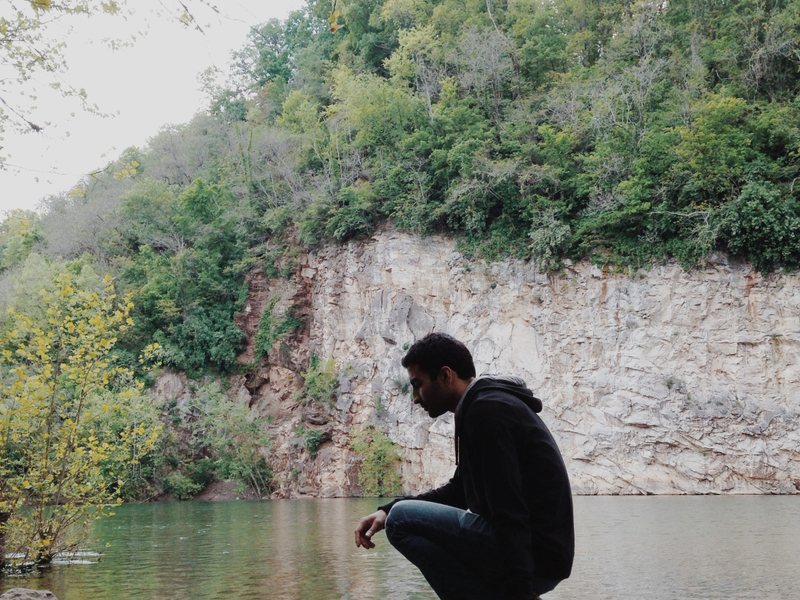 In the heart of what was once Knoxville's burgeoning marble industry, Mead's Quarry is home to a beautiful lake formed from an abandoned mining site. With easy shore access for paddlers on one side and steep limestone cliffs on the other, there are many ways to experience and photograph the area. A short hike up Tharp Trace will take explorers through an old miners' graveyard and on up to an overlook of the lake. If you want to stay at lower elevation, you can explore the old nearby railroad or take a picture with the endearing bird-faced water tank. If you're reading this in time, make this next destination an immediate, top priority. During the first few weeks of July, a dazzling sunflower display explodes at Forks of the River Wildlife Management Area . This seasonal sea of yellow swaying in the breeze is one of Knoxville's most stunning unsung sights. 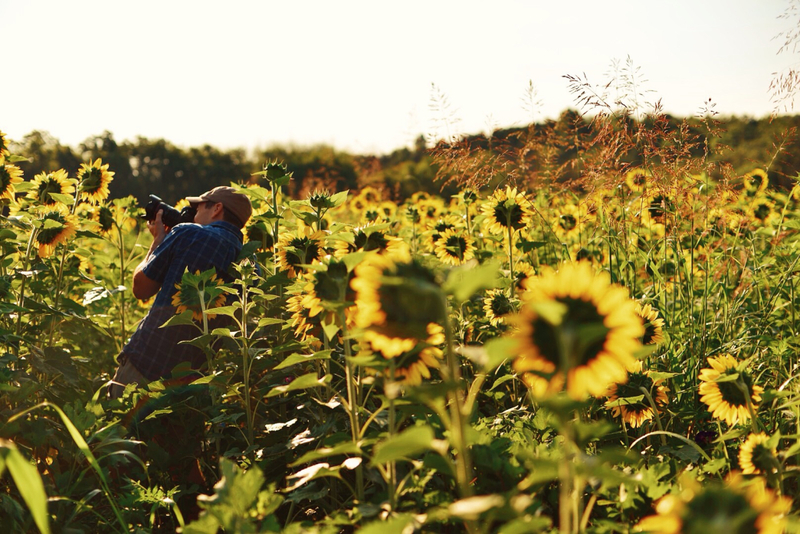 Bring your camera ready to capture this annual performance by mother nature. Even out of sunflower season, though, Forks of the River offers pristine trails along rivers, through thick forests, and over lonely grass hills that at times feel more like exotic bushlands than South Knoxville. This spot made its RootsRated debut in our 8 Ways to Wile Away the Summer post, but we thought this stunning overlook was well-deserving of an encore. In South Knoxville at 1121 Cherokee Trail, you'll find a dirt parking lot near High Ground Park. Follow the gravel trail that begins in the lot all the way back through the River Bluff Wildlife Area to what is probably the most beautiful view of Knoxville. 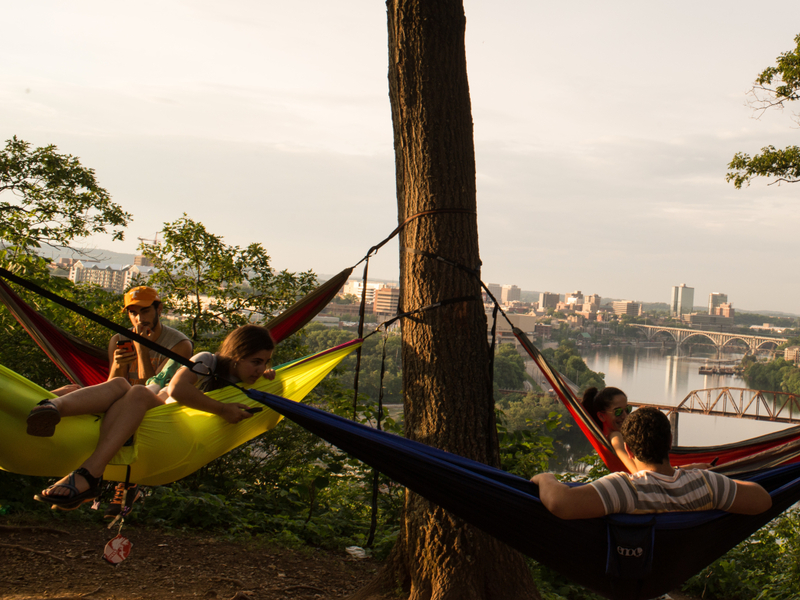 Take a ride in the swing or set up your own hammock amongst the nearby trees as you await the golden hour . As light slips away over the city, you'll have a great opportunity to capture some amazing shots of the Tennessee river and downtown Knoxville. Knoxville's downtown waterfront offers convenient and picturesque biking and paddling opportunities and is set to only grow in beauty and accessibility as new waterfront developments go underway this year. Head over to the Outdoor Knoxville Adventure Center for greenway maps. If you’re feeling extra adventurous (and are equipped with a waterproof camera or phone case) hit up Billy Lush inside the adventure center to rent a stand-up paddleboard. Follow the nearby trail across First Creek to Neyland Greenway and enjoy the waterside views all the way down to Neyland boat ramp. 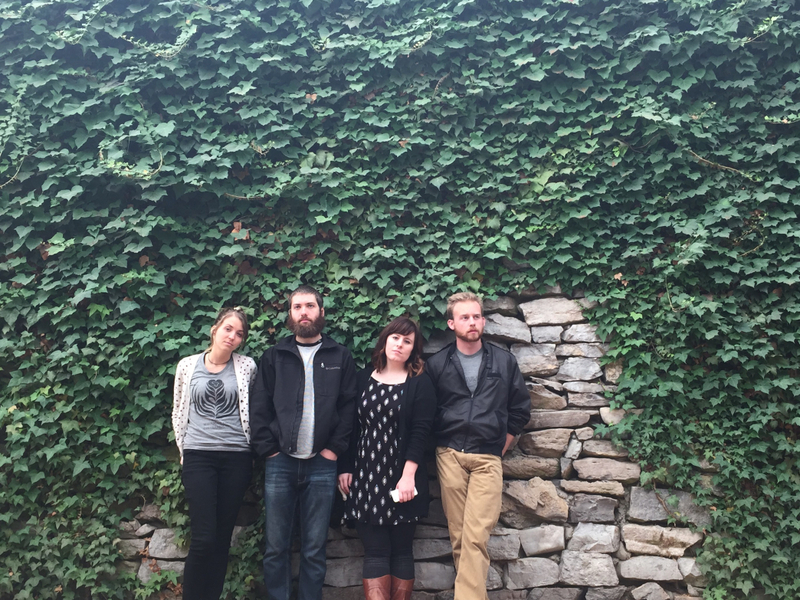 Got another great photography spot around Knoxville you'd like to explore with friends? 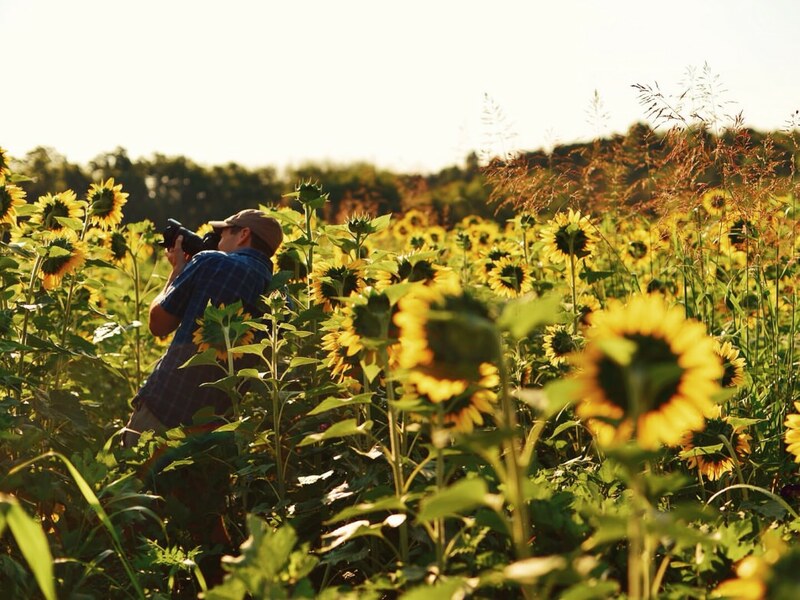 Message Liz Burling, or tag #instameetknoxville on Instagram to suggest a destination for a future Insta-meetup. And don't forget to follow Liz to find out about the next meetup in Knoxville!